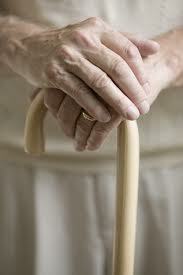 CHRONIC DISEASES are those long-term conditions which can be treated and controlled but not cured. Anyone suffering from a chronic illness will tell you that managing the symptoms and vital signs alone can be a tiresome task. These diseases or conditions may involve some level of impaired function or disability. Some are born with the condition, but generally they have a gradual onset. Chronic diseases such as heart disease, COPD, and diabetes are leading causes of death and disability in Ireland. Managing the symptoms and vital signs of chronic illness no longer needs to be a source of anxiety. Tunstall Emergency Response’s chronic disease management solutions provide the ability to monitor patients from the comfort of their own home, meaning you can live life, knowing you are in safe hands. Our intuitive technology will prompt the patient when it is time to monitor vital signs and will place a call to our 24 hour monitoring centre if vitals are outside of predefined paramaters. All of this means that you have the reassurance that our friendly and compassionate team are always available to you as a back up, should you need us.